Once again, this week was a really good one for comics fans. With so many great comics hitting the stands, it was hard to limit ourselves to just a few titles from this week’s new releases. 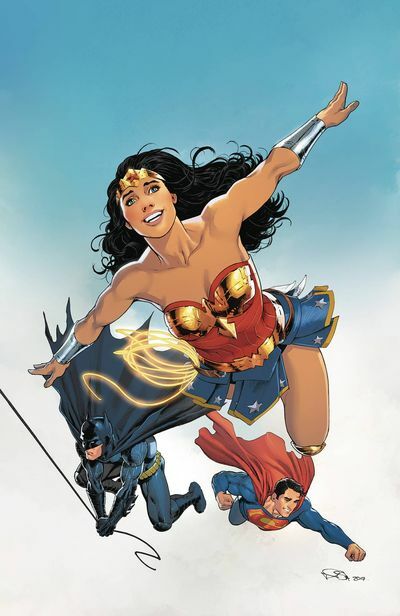 Check out our other New Comic Book Day blog articles so see our thoughts on other books. Be sure to comment or share our post on Facebook or Twitter if you like our articles! This issue kicks off Marvel’s X-Men Apocalypse Wars with a bang! 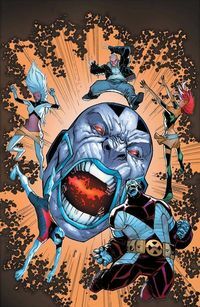 How will Apocalypse make his presence known, and who will be his new horsemen, carrying out his bidding to free the world for his new era of mutant-kind? In this new issue of the amazing Extraordinary X-Men ongoing series, see what happens when Logan and Storm learn of a new spike in Cerebra’s readings. Is Colossus’s newly formed team of X-Men ready for what they’re about to walk into? What will it mean for the future of mutants, and even the world itself? How will Magik help out her new protégé, Sapna, in controlling and understanding her new power? By: Gene Luen Yang, John Romita Jr. 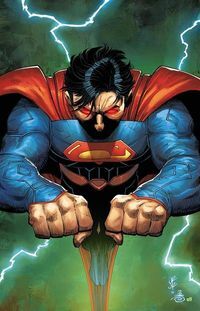 The long awaited issue of Superman #50 has finally come out! We meet Superman as he is head to head with Vandal Savage, a long-time villain he’s tackled before. Savage takes him to an alternate reality as he grows stronger from a comet heading towards Earth. Showing Superman what could be if Vandal came into power. Superman is plopped down to an alternate universe where his parents are still alive and he’s still with them as a boy! His parents keep thanking the “High Chief” that the planet is still together. 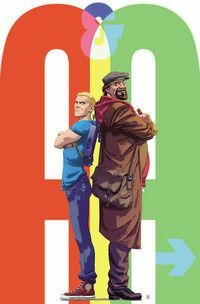 For the uninitiated, this will serve as an entry point to the zany, fun world of Archer and Armstrong. For those back on the ride, you will definitely want to keep your arms inside the vehicle for the duration of this. Either way you slice it, this comedic adventure title is going to be a great time for you! Archer was raised by the heads of a religious cult in their theme park, and honed as a deadly weapon to assassinate the immortal Armstrong (brother of the “Eternal Warrior” Gilad, and Ivar “The Timewalker”) but on his mission, he discovered that Armstrong was not the great evil that he was led to believe. VISUALLY BREATHTAKING…is the first thing that must be said about this comic. In fact, you’d be hard-pressed to find someone that didn’t share that opinion. Go ahead, try. This story continues to display the Marjorie Liu’s extraordinary ability to transport you into another world. Maika, Ren and Kippa are still on the run from the Cumaea AND the Federation but they seem to have caught a second to breath. 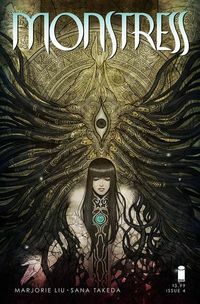 In addition to catching up with the trio, we are blessed with more back story; questions that are extremely important and that have been on our minds since the beginning are answered in Monstress #4! 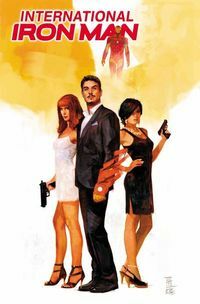 (SPOILER ALERT) As we learned in The Secret Origin of Tony Stark, Tony’s parents are not his own. This sets up the events that make International Iron Man such a great book. Much of this issue is spent on backstory that will serve the rest of this arc, but we do get to see a flashback of a younger Tony Stark back in his school days, working on the timeless art of seduction. Bendis’ writing is always top notch — nothing new there. He has such a great grasp of the character and it almost seems like Robert Downey Jr. and the Marvel movie screenwriters are paying close attention to Bendis’ every move. Alex Maleev’s art is always fantastic. True to form, Maleev delivers captivating, fully fleshed-out art that just begs the reader to slow down and drink it all in. Bendis and Maleev are like Cap & Bucky, Wolverine & Collossus, Iron Man & War Machine — a perfect pairing such that every time they are working together, you’re in for one of the best times that comics have to offer.